NGO News blog, NewsLine: Trichirapalli District Welfare Committee, Life members Mr.J.J.L.Ganaraj and Dr.V.Jayapal honored. 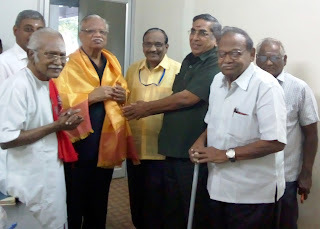 Trichirapalli District Welfare Committee, Life members Mr.J.J.L.Ganaraj and Dr.V.Jayapal honored. 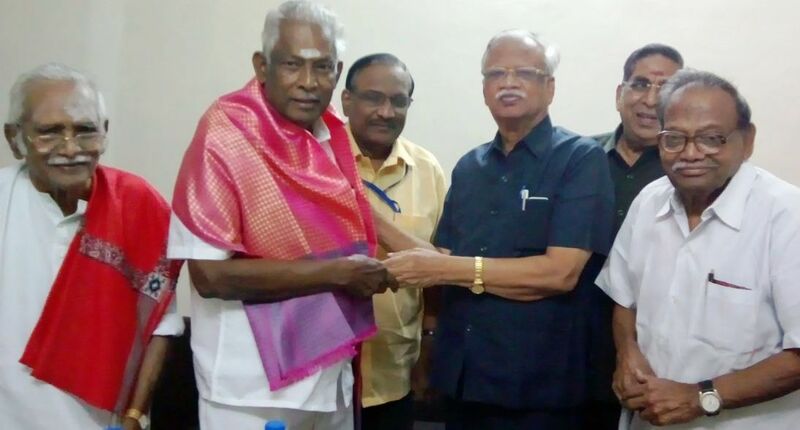 Chairman of Shivani group of Educational institutions, Dr.Prof.So.Sathiyaseelan, Prof.A.V.Rajagopalan and Chartered Accountant Thiru.Velanthurai appreciated the services of Mr.J.J.L.Ganaraj and Dr.V.Jayapal for their selfless service in Trichirapalli District Welfare Committee as Life Members.Dr.Thirunavukarusu,Manager of Trichy DWC and other members of the staff of DWC were also present on this occasion on 18th November in Treasurers chamber of DWC-: Kris.